Has the best chrome-plating money can buy? Keeps a tumbler close at hand in the bathroom? 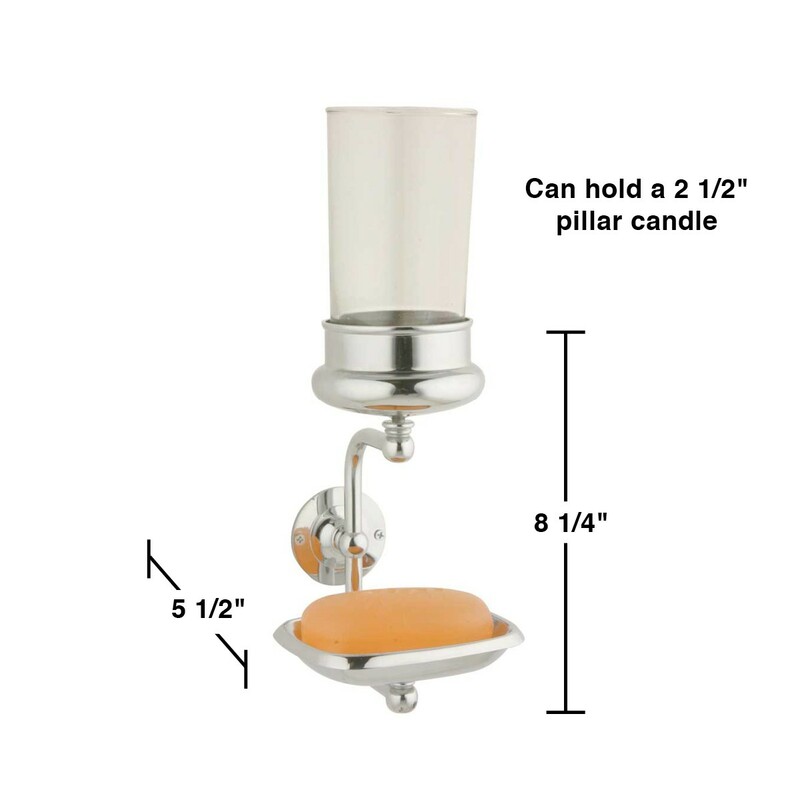 Can hold a 2.5" pillar candle in place of a tumbler? Has a soap dish with easy-to-clean removable strainer? Vintage Soap Dish. In a cool chrome finish over solid brass, this wall-mounted tumbler/soap dish offers a taste of elegance for the sophisticated buyer. It can hold a tumbler or a 2 1/2" diameter pillar candle. 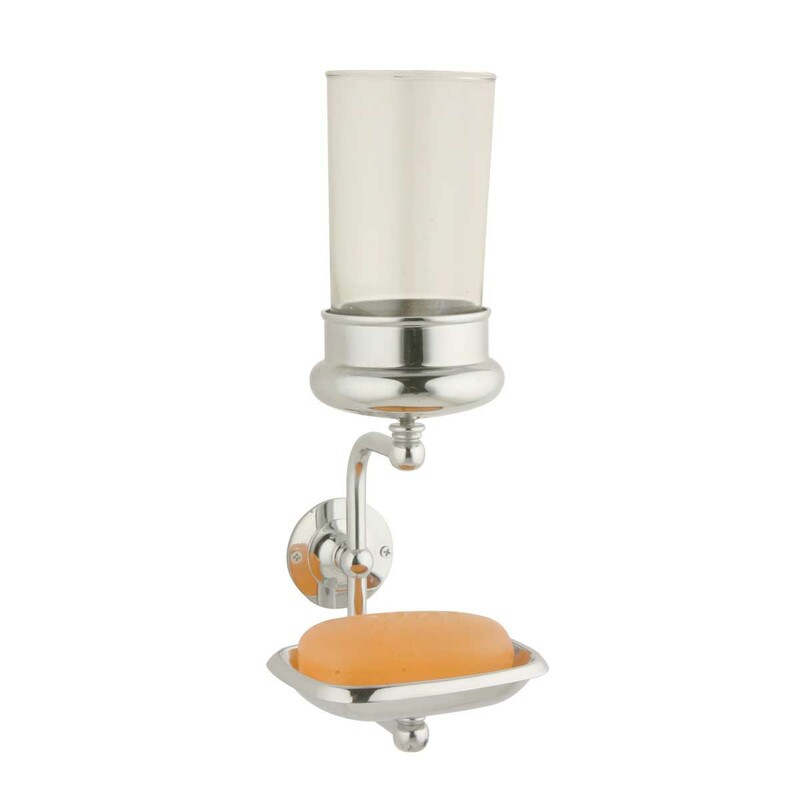 The base unscrews for easy cleanup, and a removable strainer makes it even simpler. 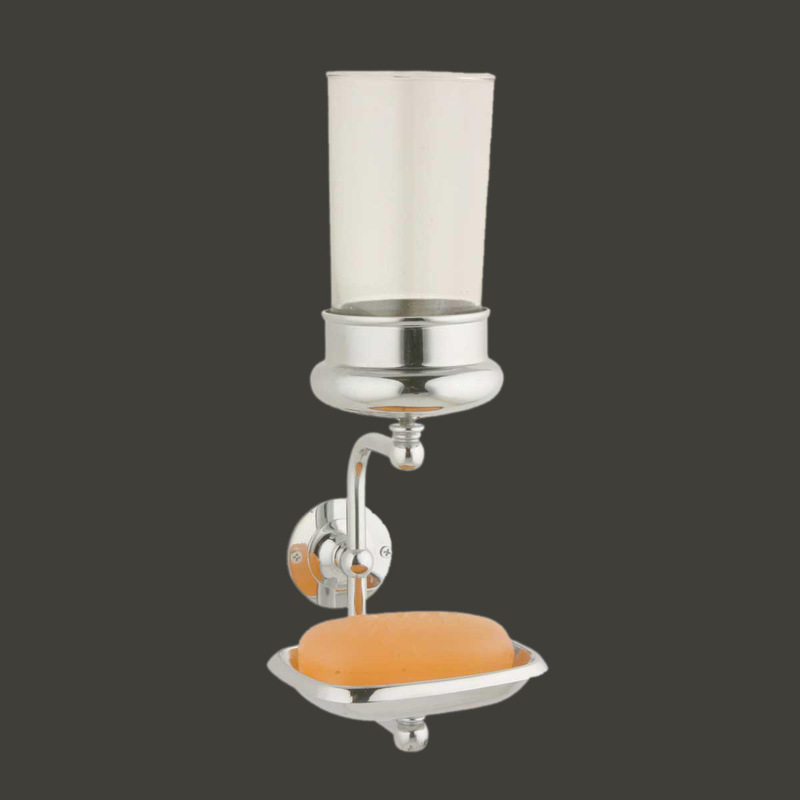 It measures 8 1/4" High with a 5 1/2" Projection with 4" from the bottom of the tumbler to the top of the soapdish. Tumbler not included.